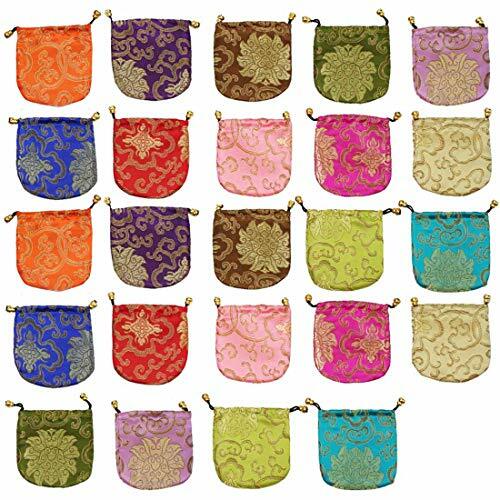 kilofly Chinese Silk Brocade Drawstring Jewelry Pouch Bags help organize the little things in your life. They are great for keeping small jewelry, coins, and other treasures, as well as being used as elegant gift packaging. This value pack comes with 24 bags. Random designs and colors.